Ultraseal Chongqing will be exhibiting at the 19thLijia International Intelligent Equipment Fair from 9thto 12thMay 2018, in Chongqing (Booth S2236). 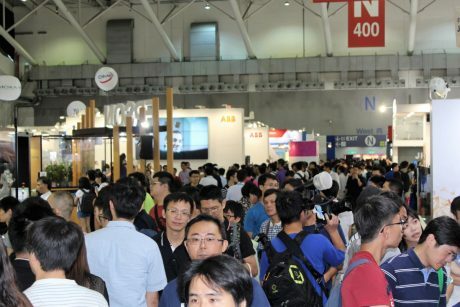 The exhibition, held at the Chongqing International Convention & Exhibition Centre, specialises in equipment for the foundry industry and attracts many OEMs and Tier 1 automotive suppliers. Chongqing, the biggest city in China, plays an important role for Ultraseal as it is one of the main manufacturing hubs for China’s automotive industry. Ultraseal, the recognised global leader in sealing porosity in cast components, will be showcasing its best-in-class porosity sealants, vacuum impregnation technology and service centre network capability. With an unrivalled understanding of process and technology, Ultraseal’s comprehensive range of products and services helps die-cast and automotive component manufacturers solve their porosity challenges and give their businesses complete control over quality, operating costs and environmental performance.